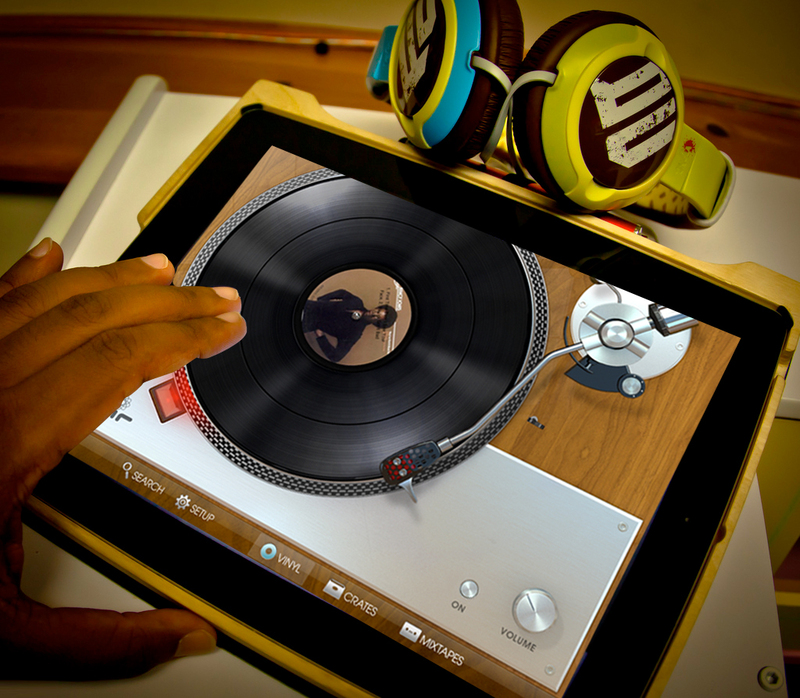 AirVinyl is a new iPad app that recreates the experience of playing vinyl records sourced from your digital music library. This beautifully crafted app has been created for the legendary Air Studios, London’s largest independent recording studio complex. Air’s award winning audio engineers have painstakingly worked to recapture the ambient sound of vinyl, so often lost on digital formats. AirVinyl now makes the iPad a serious component for hifi connoisseurs. Using the built in AirPlay function you can wirelessly stream your music to your hifi, Air Zeppelin, Fidelio or car entertainment system. 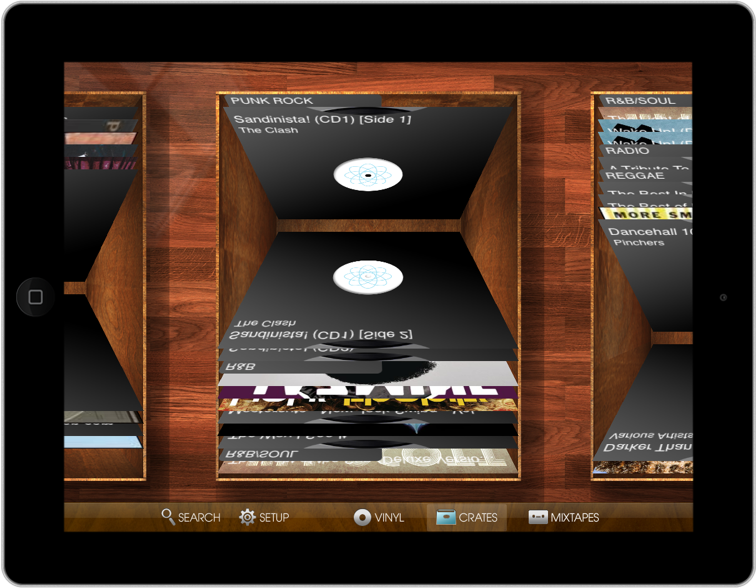 Users can select their music from Crates and browse by flicking through the covers. 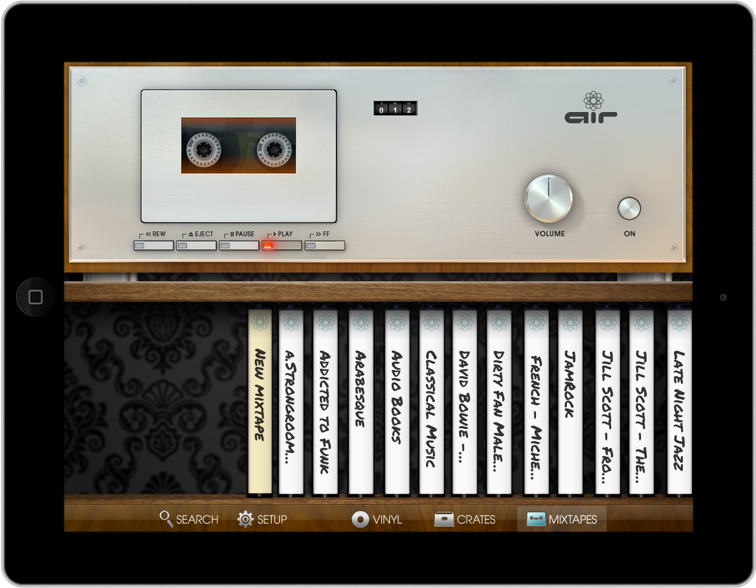 Playlists are accessed as Mixtapes, using a familiar analogue interface of the cassette deck, but fortunately without recreating the cassette sound! You needn’t be limited to the capacity of your iPad either. AirVinyl can sync your music collection with Apple’s iCloud and give you access to the 1000′s of songs you uploaded to iTunes Match.